GALION — An early organizational meeting for this year’s “Come Home to Galion” celebration included a review of last year’s event and ways to make this year’s event even successful. This will be the eighth-year for the early winter festival in Historic Uptowne Galion. Galion-Crestline Area Chamber of Commerce director Joe Kleinknecht and Sarah Capretta, who runs the RSVP program in the community, headline the meeting, which focused on finding ways to get more kids involved. Capretta and Andee Wildenthaler are co-chairing the event this year. Kleinknecht is the festival secretary and Brian Treisch will be the event treasurer. There won’t be a lot of changes this year, but there are expected to be a few alterations and some additions. The live nativity scene on the old Galion Middle School grounds near the Galion Historical Society and Brownella Cottage will be moved a little closer to Brownella Cottage. “It was a long walk and we were kind of out of sight for some of the people getting off the wagon rides,” said Steven Hodges of Galion Baptist Church. There will be an effort to better market the festival that will include more banners, social media and possibly billboards, radio and newspaper advertising. Galion Public Library will again sponsor the carriage rides. The popular Elf Hunt is expected to continue and there was discussion of how to get more homeowners and business owners involved in decorating contests. Treisch said the festival is always going to be affected by weather. In recent years it has rained, been pelted with sleep, 60 degrees and sunny and last year it was very cold. “That’s something we have to deal with,” Treisch said. Capretta is intent on having more kid-friendly events this year to keep area resident in the uptown area for a longer time, and not just for the parade. Ideas discussed included cookie and Christmas card decorating, a movie, events at the library, a “Breakfast with Santa” and even bringing back a popular event from years ago when kids dressed up as Christmas gifts and prizes were awarded for some of the most original designs. 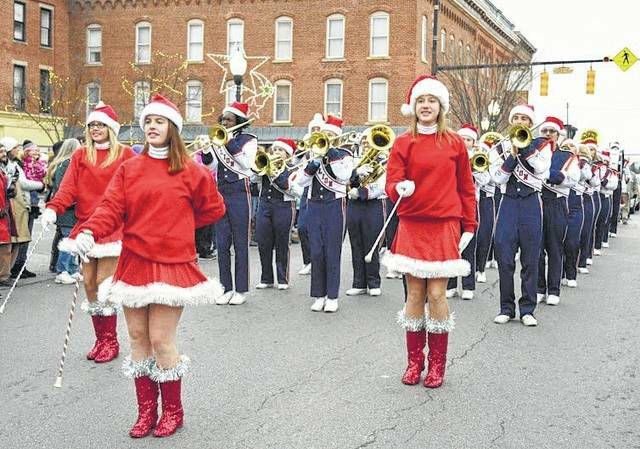 As of now, the schedule of events will remain the same as last year, which means events in the uptown area will be from 1-6 p.m., with the parade at 4:15 p.m. A program by the Galion Ministerial Association will lead up to the tree-lighting ceremony around 5:30 p.m.
Santa Claus will once again make an appearance. He’ll be in the parade and will be in his house which will be moved to the uptown area where kids will be able to visit with him. Email Russ Kent at rkent@aimmediamidwest with comments or story ideas.